The leader of the Bora managed to prevail in the sprint to Adam Yates, Fuglsang and Dan Martin. Enric Mas and Mikel Landa, missing. Kwiatkowski retired by fall. Fourth stage of the Tour of the Basque Country where falls have been the protagonists. The rain caused many cyclists to finish on the asphalt with their corresponding dropouts. Important men like Kwiatkowski, said goodbye to the race. In the last climb, Adam Yates attacked forming a quartet of head next to Dan Martin, Fuglsang and Schachmann. 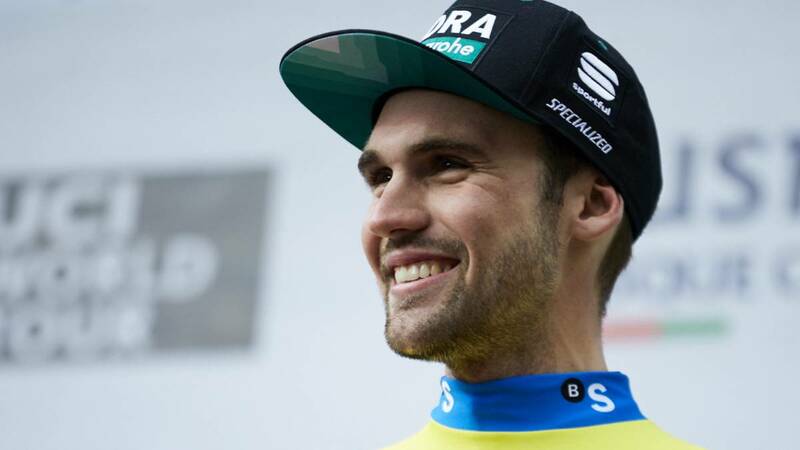 After the descent, the German of Bora won the sprint with great authority, achieving the third victory in four stages and amplifying even more his leadership.